I’m one third into the marathon training for this year’s Philadelphia Marathon and feeling good so far. 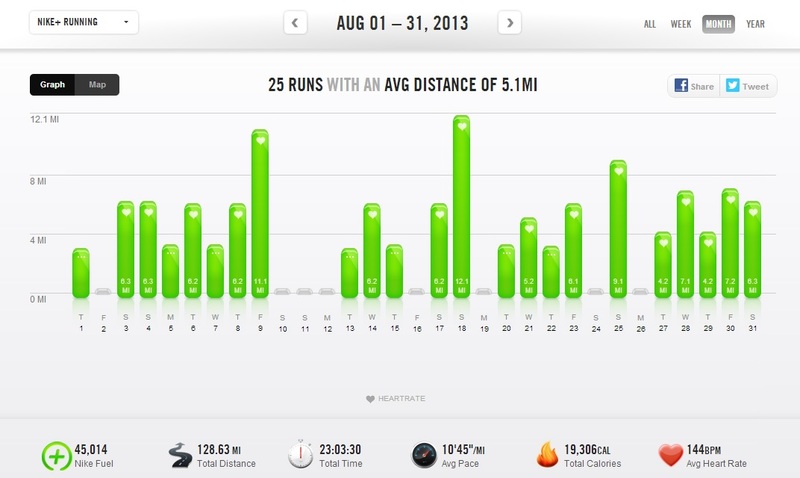 The runs are begining to get a but longer and I’ve been lucky that it has been great running weather for August. There have been a couple of really warm days but more or less I’ve been able to run outside for most of the month. I passed another milestone at the begining of the month when I celebrated my 3 year ‘runniversary’ and I still have plenty of goals to achieve and races to look forward to. With my wife joining me in the Philadelphia Marathon this year we are both finding that we have to juggle things around to get those long runs in. We’ve got a couple of races together before then (Philadelphia Rock ‘n Roll Half and the Trenton Half Marathon) and judging by my wife’s recent runs she is probably going to leave me in her dust. She has promised to stay with me during the marathon though. We took a couple of weekends away which meant I had to run 5 days in a row (including the long runs) for a couple of weeks. If anything this will be useful training for the Dopey Challenge (yeah…I keep telling myself that) but with school starting back up in September I don’t see too many of those cram weeks ahead and should be able to stay on schedule and enjoy the rest days. I dd miss a couple of cross training days this month but September should have me back on track. With racing season now upon us I want to wish you well for any races you may be training for. During the months leading up to a Fall (or Spring) marathon as the distances get longer the more you may end up running in the pre-dawn or post-sunset hours. This morning I got up at 4:45am today to squeeze a 7 mile run in before I had to leave for work and the sun didn’t come up until the last couple of miles of my run. This can be a challenge to get out there and put the miles in if you are not fully prepared. When I did my first marathon back in the Fall of 2011 I had to figure a way of getting my mid-week runs in before work and on occassions some long runs on the weekend and be home in time for my wife to leave to teach Sunday school. This meant often getting up at 3:00am to knock out a 20 miler and be home in time to look after the boys. So with those challenges I had to make sure that I was adequately geared up so that I was out there safely and I would be coming back home as promised. Now, I cannot speak for everyone or recommend the best night time gear out there but I have put a list of gear together that I use and you might find useful to research if you haven’t before. Some of this was trial and error but the following seems to be what works best for me. Firstly, whether there is sunlight or moonlight, I never leave for a run without wearing my Road ID Sport band. This goes with me on every run. You can read my review of Road ID products here. 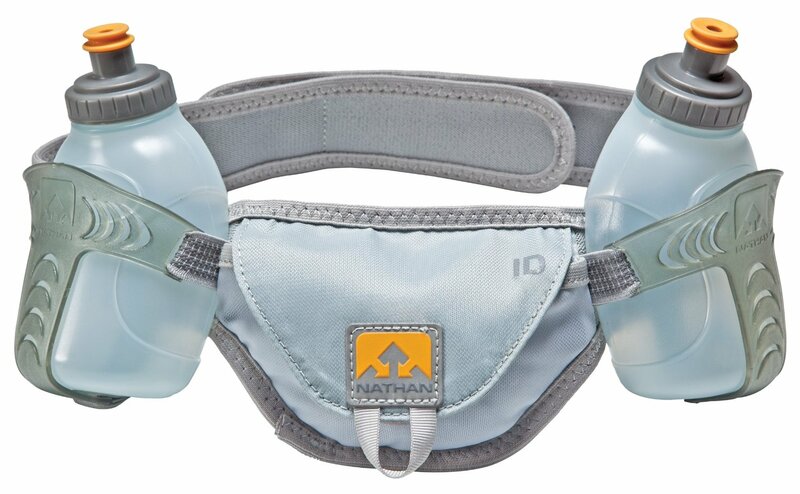 Additionally, I always take my iPhone with me in either my iFitness belt or in the pocket of my Nathan hydration belt. Everyone has their own favorite way of carrying their personal belongings. Sometimes, even on race days, I will stuff a credit card and a $10 bill away in case of emergencies. When I travel I also bring my driver’s licence with my credit card. But typically it’s just my Road ID, iPhone and house key as I train on familiar routes most of the time. 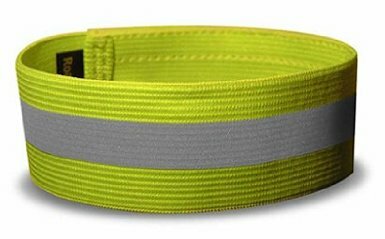 My first purchase when I started running in the early morning was a reflective vest. Even at dawn and dusk it is a useful and lightweight piece of equipment which does not add bulk to you while you run. Since I discovered the Brooks Nightlife series of products I have been a fan of their running gear (I was already a Brooks shoes devotee). This is the vest I personally use but if you look around you will find similar products from other brands. Find something that has good reviews and seems like it will be lasting and finally fits your body well. 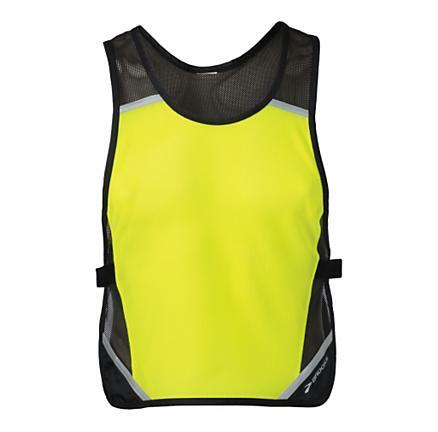 I use the Brooks Reflective Running Vest. This works well for me. I always run with a hat or a visor to either keep the sunlight or the perspiration out of my eyes. 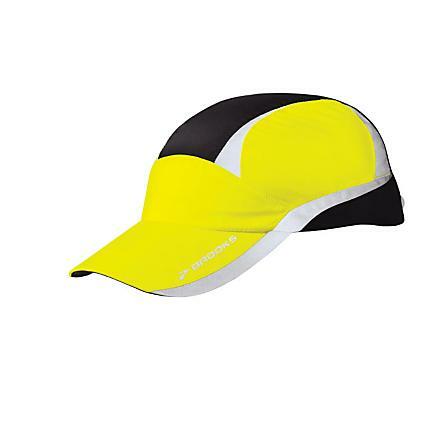 I like the Headsweats range of hats and they make a RoadID branded hat which has a lot of extra reflective material. 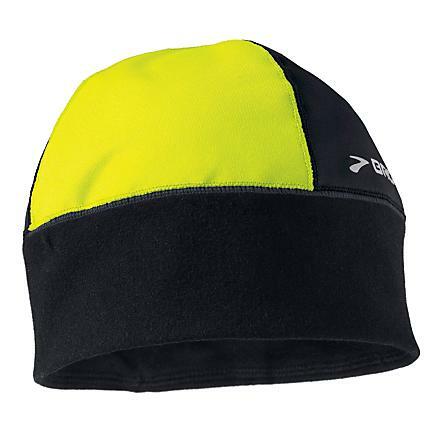 I also use the Brooks Nightlife running hat which in addition to being reflective also has a built in flashing lamp at the rear (which I recently discovered by accident). Here it is. As the sunrises get later I start to wear a headlamp. 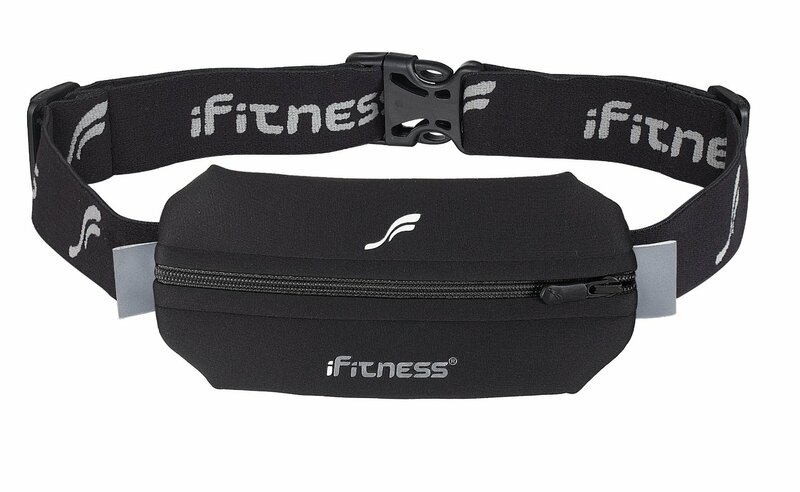 I use something specifally designed for running which is both lighweight and secure. In addition it provides a wide spread of light for about 20 feet ahead of me. It’s the Petzl Tikkina. It seems to be mid-range in price and they do have others which are more expensive and powerful. Again, I suggest you look at some online reviews and see what you like. I attach a flashing red Road ID Supernova lamp to the back of the strap. This is another reason I wear a hat when running so that it has something to rest on other than my sweaty head. 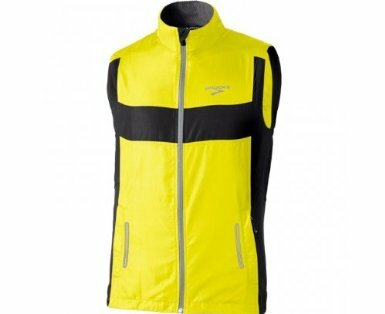 In the winter months I keep the same setup with the exception that I will swap out the Brooks running vest with my Brooks Essential Nightlife Running Vest if I need an additional layer. I also will wear the Brooks Infiniti Nightlife Beanie. If I am wearing running tights in the dead of winter I may occassionally add some reflective ankle bands too. So now I’m all geared up there are some rules of the road that I make sure I stick with on every run. Road ID and phone – always. Tell someone the route you plan to run (just in case)…just don’t wake them up at 3:00am, it’s better to tell them the night before. Map out your route in advance if you are travelling and are not sure of the area. Run against the flow of traffic. This way you see a vehicle even if they do not see you. It may be necessary to cross the road on occassion, for example on roads with tight curves. Stick to the shoulder of the road if there is one. I prefer to run on the blacktop where ever possible to avoid tripping on uneven pavement. Just make sure you have enough room if two cars need to pass at the same time from opposite directions. If it looks like ice or if there is a black ice warning consider taking your run indoors to the gym. Even though you can see ahead of you it is what is under your feet which you cannot control. NO MUSIC. Since I started running in the dark I have had to quit running with music. If cars still cannot see you you despite you being lit up like a Christmas tree you need to be aware of them!!! (I’ve stopped listening to music on all runs but treadmills. Running at night is incredibly calming). Give yourself extra time. Yes, sometimes I do pace runs but mostly I take things just a bit slower. It’s dark, you want to make sure your feet are going where they should be going. Your headlamp can only see so far ahead. Make sure you change the batteries in your headlamp at the start of every season. Having a light that is bright works wonders (again, trial and error). 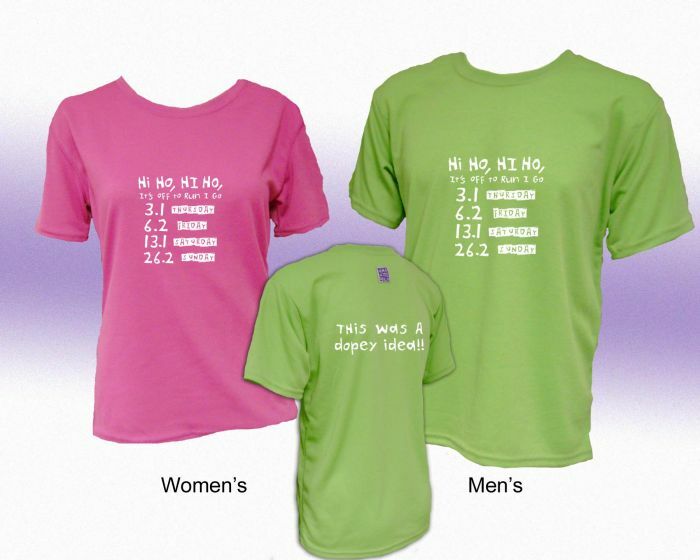 This is by no means a comprehensive set of guidelines nor is the gear above the definitive list of running gear. This is what works for me. You may find something that works better for you. I know that they make reflective vests with speakers built in to them if you cannot imagine running without music. Other manufacturers make there own range of night running gear (Saucony makes a simliar line of reflective clothing in bright orange). Mostly I just want to be safe. You may think I am being overly cautious with all this preparation (yes, it sometimes takes forever to get dressed and out of the door) but I want to make sure that I can be seen out there. 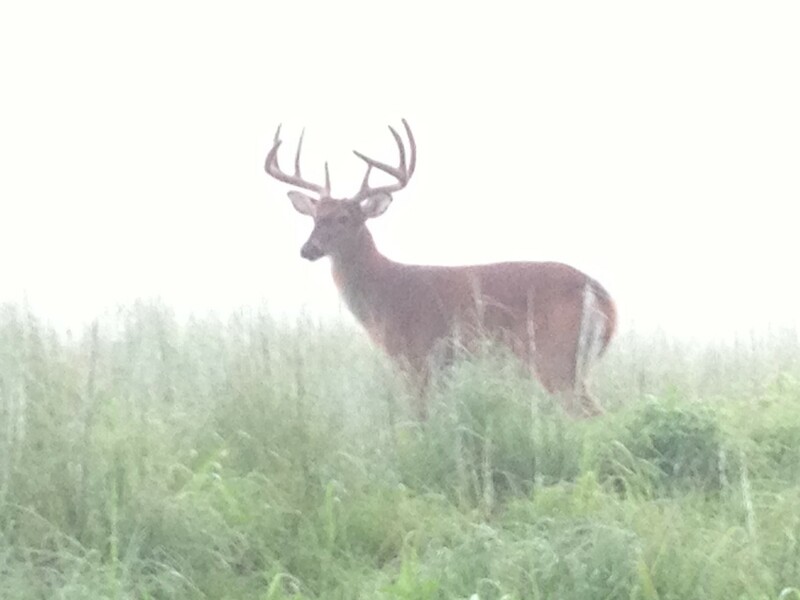 You never know who is out on the road and what condition they may be in. I will admit that the first time I ran outside with a headlamp pretty much freaked me out. It took a few runs until I was probably acclimated to using it. I found that it is fairly limited in fog and that when you look in the direction of trees and bushes the animals eyes reflect back at you and can make you jump. Also, Halloween season freaks me out because you never know when you will come face to face with an unexpected scarecrow (I’ve watched waaaaay too much ‘Doctor Who’ in my life). So there you have it. You are all dressed up and have places to go. I hope you found this post insightful. Week 6 already? That means 12 weeks until the Philadelphia Marathon and 20 weeks until the Dopey Challenge. I’m already excited. This was the second step back week in the program and the rest was a welcome break. The training this week wasn’t bad. The temperatures are definitely getting cooler and the sunrises are coming later. I can feel Fall just around the corner. I was able to get all the running done outside this week which was nice. I felt a little tired in my legs so I spent a couple of nights sleeping in my Zensah compression sleeves and that seemed to help out. I had an enjoyable midweek run in the park next to where I live. It is full of deer and that day there just seemed to be dozens around. They are used to me running there I guess as they don’t seem to move when I run past them. 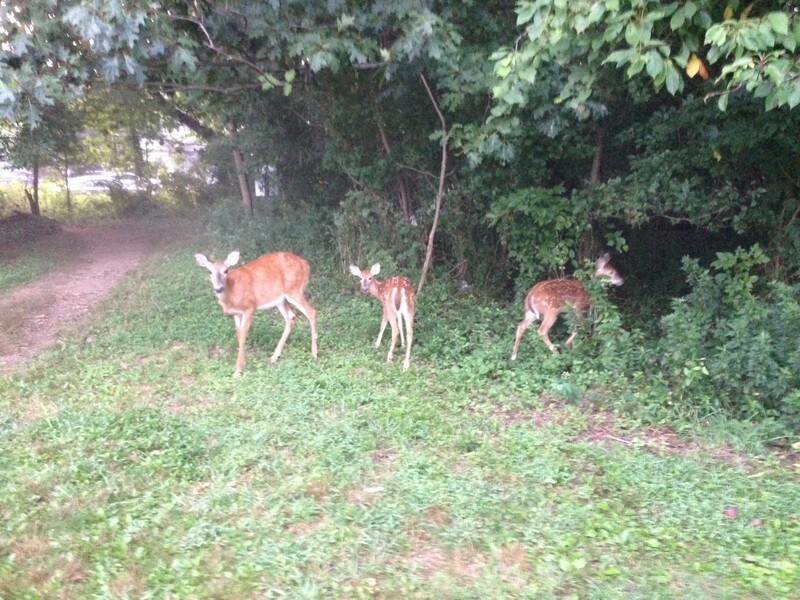 I get pretty close to them to as they are always crossing to and fro in front of me while I run. I decided to get a couple of photos so you can see what I mean. Very calm and relaxing. 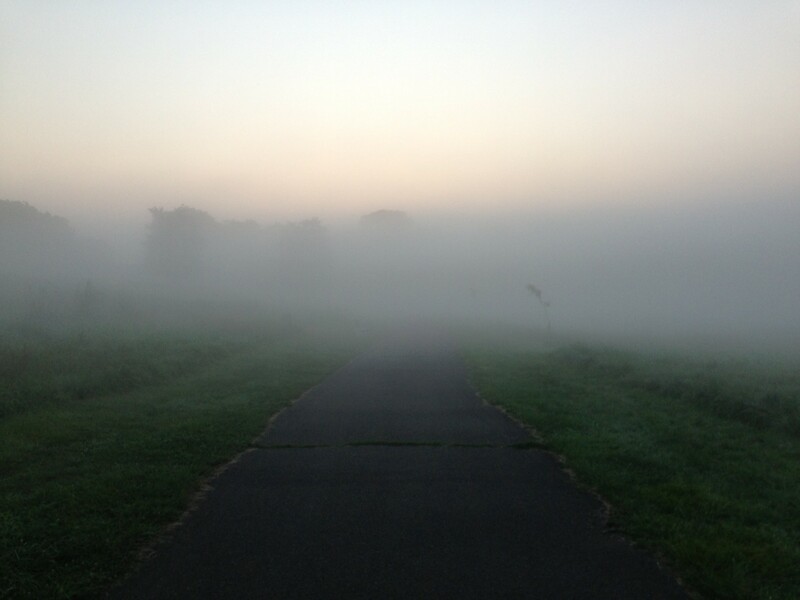 With the later sunrises approaching I’m starting to dig out my early morning running gear. I will be writing a post specifically about the type of gear I use but needless to say the headlamp is getting a good deal of use now. 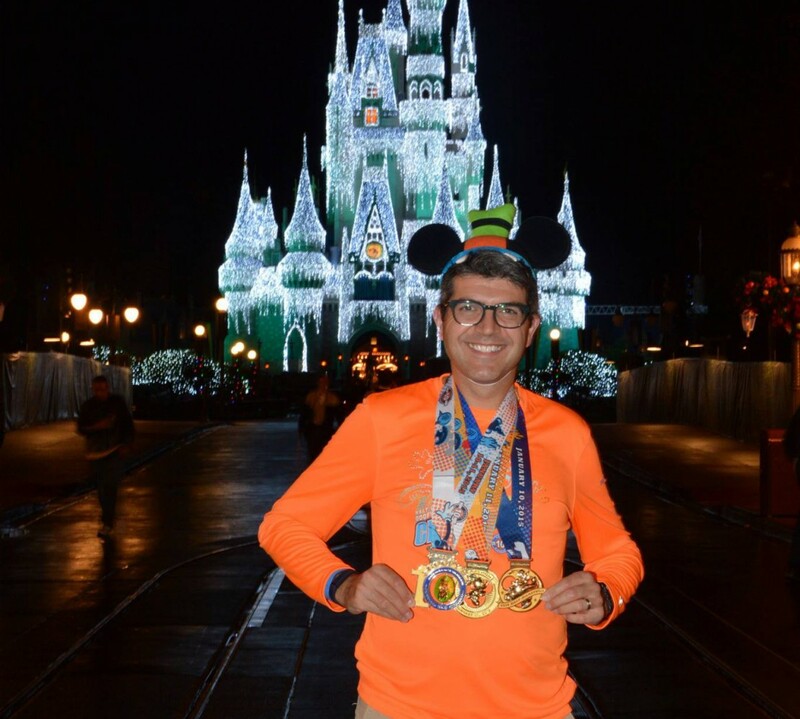 Since I set up my training schedule for the back to back training for the 8 weeks between this year’s Philadelphia Marathon (11/17/13) and the Walt Disney World ‘Dopey Challenge’ (1/9-1/12/14) there have been a number of coaches updating their training programs. I have used Hal Higdon’s plans consistently for marathons 2-5 and the back to back periods between Philly and Disney in 2012 and 2013. Hal recently came out with an official ‘Dopey’ plan on his website and so I took some time to compare the two. Hal designed his plan for just the 4 day event, it is not a back to back marathon training plan as it assumes you will be following the plan for the full 18 weeks. 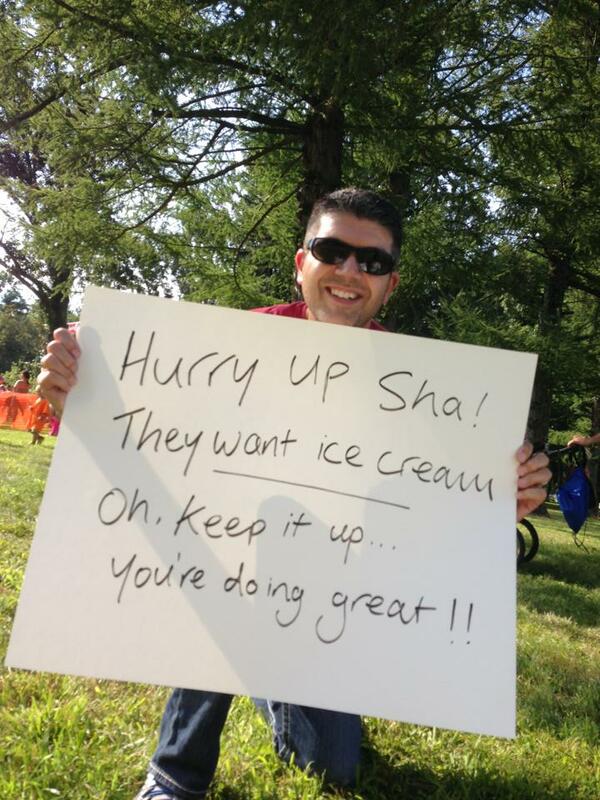 I only have 8 weeks between events and will be using his back to back multiple marathon plan. Last year for my first ‘Goofy Challenge’ I followed the plan and just made sure that my Saturday runs were at least half of the Sunday long runs. 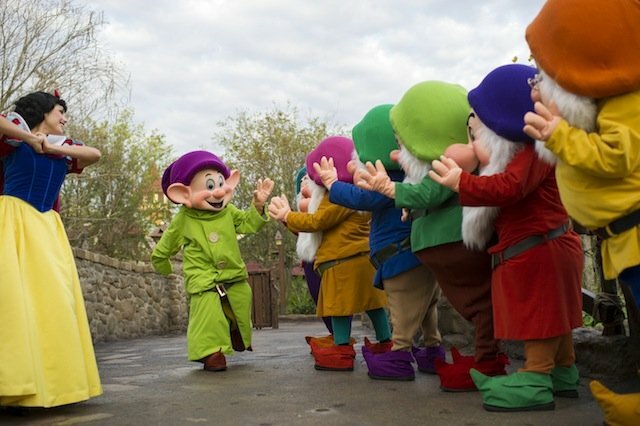 My Dopey training is…well…Dopey. I need to somehow recover from a marathon, train up for another multi day event (including a marathon) and have time to taper. Sounds like fun. Originally I had taken what I had done with Hal’s plan for the Goofy last year and switch my runs up so each week would have 4 continuous days of running. In hindsight that may seem to be a recipe for distress. I went back today and looked at what I really need to do vs what I planned to do. I saw a need to have some more rest days in there for sure. I took the plan and moved back the rest days back to where they had originally been in Hal’s weekly plan but with the exception of 2 of the weeks. For the 20 mile long run week I made sure I had a ‘dress rehearsal’ for the event in that I now plan to have that week be a four consecutive run week. At the start of my taper (three weeks out from race week) I have a 16 miler and plan to do a four consecutive run week then too. For the week prior to the event I dropped a run entirely from the plan and added an additional mid week rest day so that I give myself one extra opportunity to rest/heal before I head down to Florida. Here is the updated plan. Still alot of running but hopefully more manageable. This weeks training went well. Again, I crossed trained for 30 minutes on the bike on Monday and ran my scheduled runs. The main highlight of this weeks training was my 12 mile long run today. I woke up to the sound of rain. I’m usually the first person to head indoors to the treadmill when there is inclement weather. I quickly looked at the radar maps to see if there was a slight chance that I could get out but it showed rain for the next two hours. I packed up my gym gear and as I was headed out of the front door it didn’t look too bad. I reminded myself that marathons don’t have rain dates and that I should ‘man up’ about getting wet! I’m so glad I did. Today’s long run was awesome. I decided to start off on a familiar route through Langhorne Borough and reached a point where I usually turn left and head back in a loop to where I started. Today I decided to turn right. Having only driven this route before I knew it was a little hilly but you don’t factor that in to your regular commute. Running hills is slightly different. I have driven this route probably close to 12 years now and today was the first time I had a chance to really slow down and take in my surroundings. Today’s run was by no means my fastest 12 mile run but it was really one of the most rewarding. 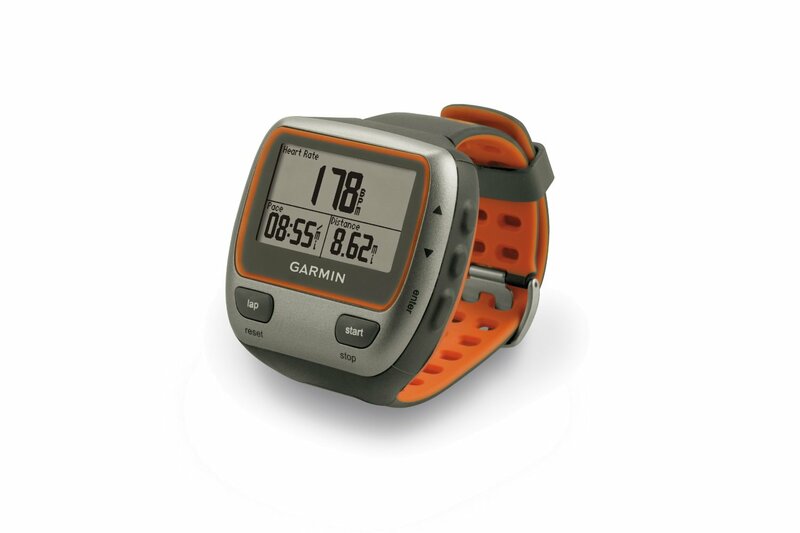 One of my favorite pieces of running gear is my trusty Garmin Forerunner 305. I bought it for my Birthday the year I started running and have used it 4-5 times a week for over two and a half years and over 3,600 miles. It records all my run data accurately. Recently I have had some trouble getting the watch to lock on to the satellites and I’ve had to stand outside my house for longer than I would like with my wrist in the air looking like an idiot (although many runners can probably relate). I’ve been prompted by the watch at least twice if I was indoors or had moved more than 100 miles since my last run. Nope, my house is still in the same neighborhood I was the day before. Also, I’ve been experiencing difficulty uploading my runs recently and it has been taking 2-3 attempts everytime to upload the data. I finally bit the bullet and upgraded this week to the Garmin Forerunner 310XT. I’ve had two runs with it so far and it picked up the satellite signals with no problems. I also got a new heart rate strap to accompany this. It is very similar to the 305 but obviously there are some nice upgrades. I’m still investigating the watch but a good source for a review would be the DC Rainmaker blog. If you are interested in this watch here is a link to Amazon.com (full disclosure – I have an affiliate account with them) and I would recommend reading the reviews there too. One new thing with this watch is that I am now able to upload my runs to all the sites I use without needing to boot up my laptop. Again, I will turn to the DC Rainmaker blog if you want to know how. I used this method for the first time today after my 12 mile run and I was very happy with it. It will be a little more practical on a day to day basis. One thing I did notice this week was the wear on my shoes. I have used Brooks Adrenaline’s since August of 2011 and have worn the models from 11 to the current 13’s. I track my shoes in my running log and seem to get around 400 miles from each pair. I rotate my shoes between two pairs every other run and usually keep a difference of around 150 miles between the oldest and the newest. I’m now wearing two pairs of 13’s, one has reached just over 300 miles of running and the other around 125 miles. The tread on the oldest pair is pretty close to the point I would normally swap out which is a suprise as I usually can get another 100 miles or so out of my shoes. I noticed similar wear on the newer pair. I’ll be keeping a close eye on these and may end up swapping to a newer shoe around 350 miles this time around. I’m not sure if they changed any of the materials making up the sole of the shoe from the 12’s to the 13 model but I don’t think my running style is that much different than it was last year. We shall see. At least the 14’s will be launching soon and I’ll be definitely thinking about those come January at the Dopey. My wife is also training with me for the Philadelphia Marathon this year. This will be her second marathon after the 2013 Walt Disney World Marathon. 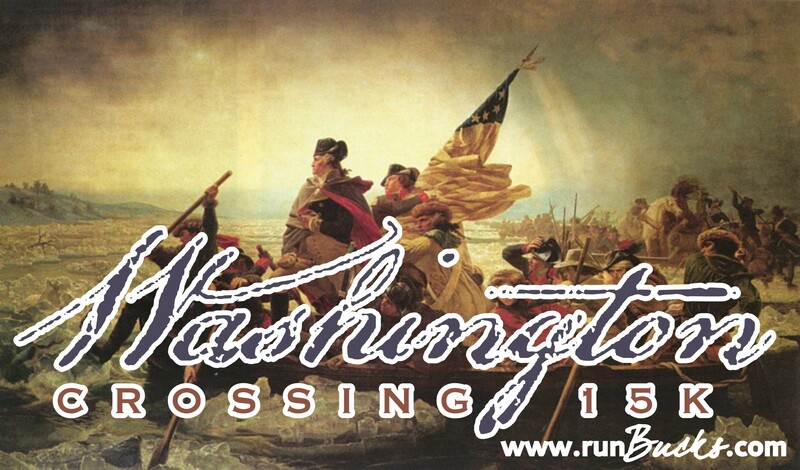 She had a 9 mile run planned for her long run this weekend and it just happened to coincide with the Washington Crossing 15K race along the Delaware Canal Towpath (a place where we frequently run with the boys). It was an evening race and the weather was still a little warm. 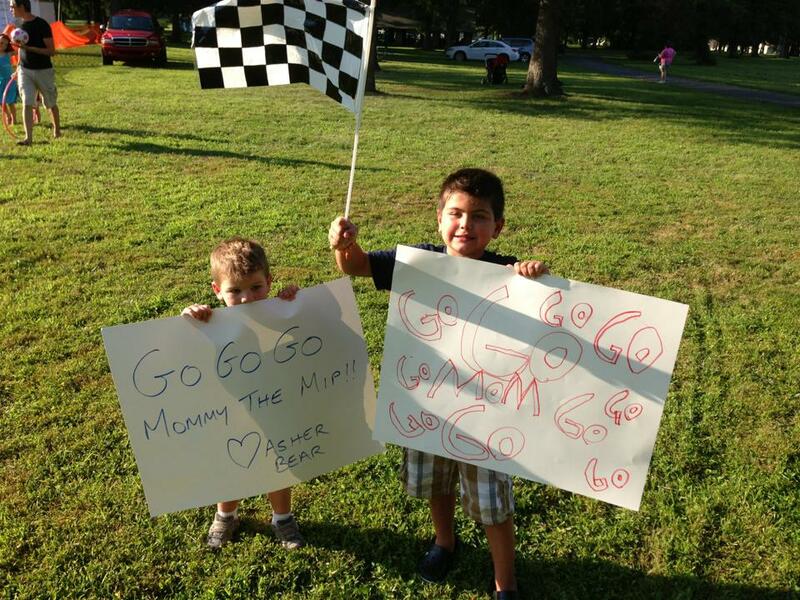 This was going to be my first race as a spectator and also allowed us to bring the boys along to cheer their Mommy. As you will see below we all got into the spirit of cheerleading and made our own special signs (although I may have helped Asher a little). The boys were surprisingly patient as we waiting at the finish line (although my iPhone battery was put through its paces entertaining the boys). 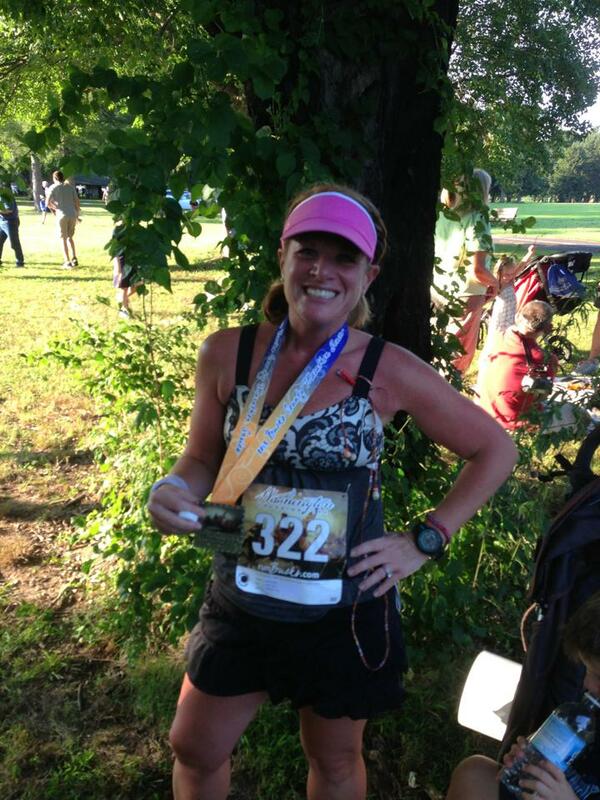 Shari ran a great time and she looked god doing it. Below are some of the highlights from the race. My first race as a spectator. Any encouragement is good right? Next week is the second step back week so my long run is going to be 9 miles. 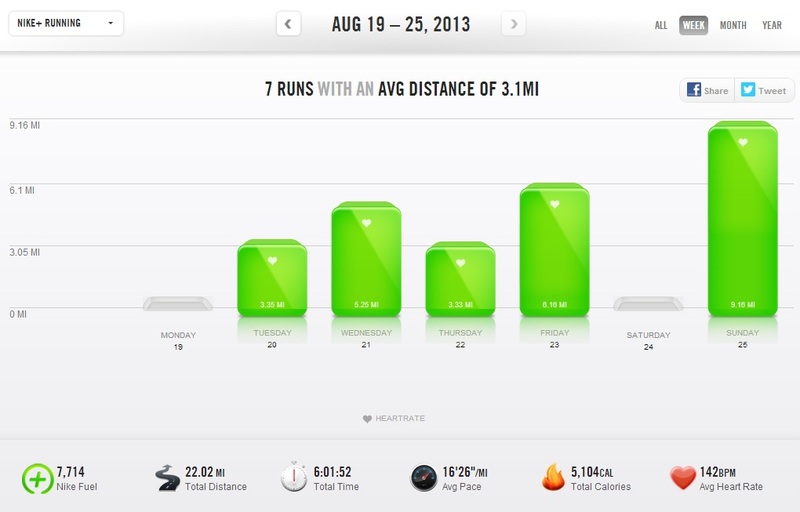 I felt good this week having upped my mileage a little. I feel good and after today’s run refreshed and looking forward to the week ahead. 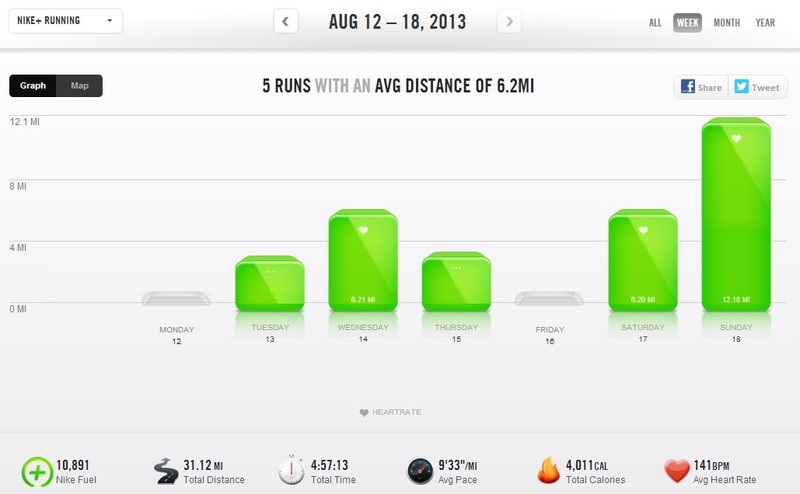 After last weeks step back week I started to up the mileage again. The planned long run this week was 11 miles. Because of a family trip to Lancaster County, PA this weekend I had to squeeze my runs into the work week so I missed out on cross training on Monday and missed my rest day on Friday. I rested over the weekend (if you can call a family vacation a rest). The runs were pretty easy. I had a decent faster pace run early in the week on the 3 miler. The run/walk ratio of 4:00/0:40 (a 6:1 ratio) seems to be working well for me. The temperatures were pretty cool early in the week but it was getting progressively warmer as the week went on. Getting up a little earlier these days means that I have to get the headlamp out again. It was time to change the batteries as the lamp didn’t do much for me early in the week. Friday was to be my long run but I had to get it in before I left for work. Three of the weather forecasts I checked called for lightning storms (or a 50/50 chance of them). I got up at 4am Friday and checked the weather radar maps and it looked like I could get my run in. With a fresh set of batteries in my headlamp and a new battery in the RoadID Firefly lamp I was out the door and seeing clearly. It was already 70+ degrees before 5am but the weather held steady. Apart from being very humid it was a nice easy long run. I also use these early long training runs to experiment on some gear. This week I again tried the Pro Compression socks vs my usual Zensah sleeves for the long run. Although my legs felt fine with the compression, the sock itself is rather thin for me and about 9 miles in my toes were feeling the inside of my shoes more than I would like. I think I will stick with my medium thickness socks and the leg sleeves going forward. No damage done as I wasn’t going too far. 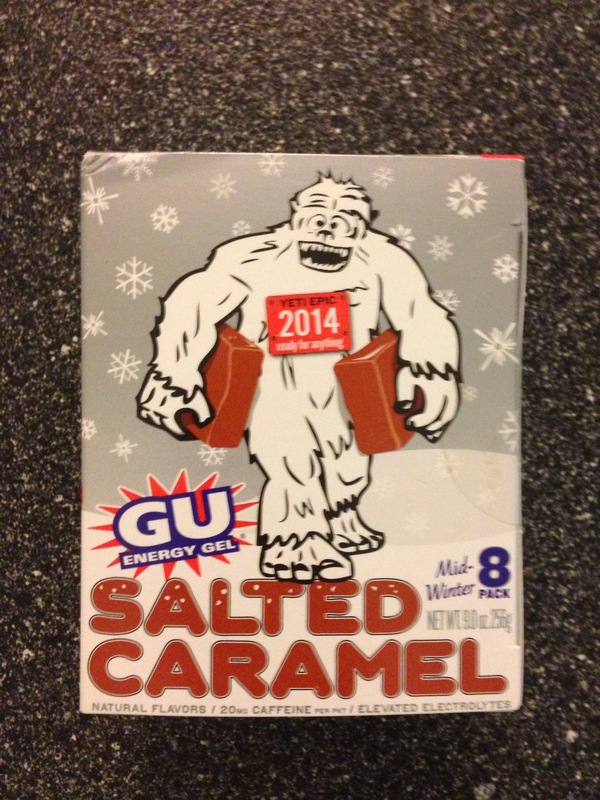 I also bought a sample pack of GU in a new flavor (Salted Caramel) to try. I’ve used GU in the past but find the consistency a little thick for my liking but like to try new flavors from time to time. I still have plenty of samples of other products but these will get into the rotation soon. A pretty easy week. 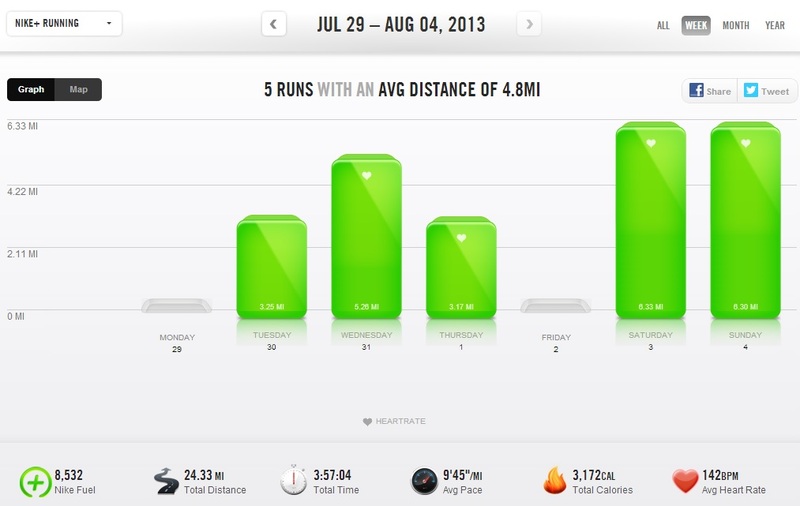 It was the first step back week in the program and the mileage is still low, lower than my base training. 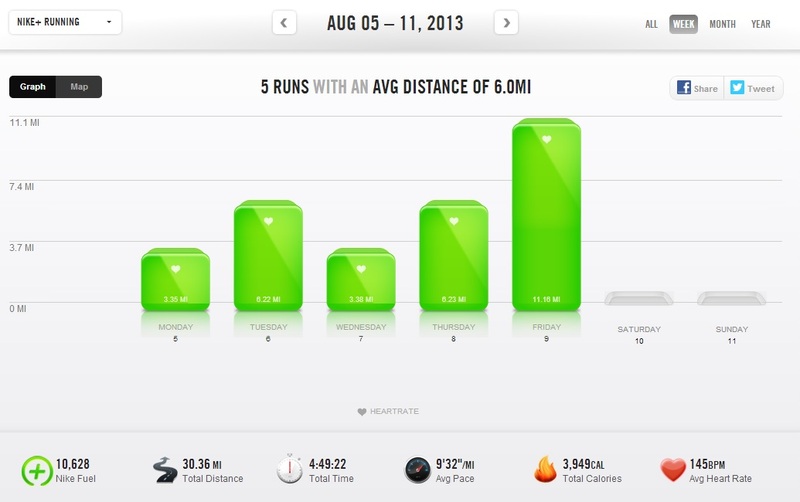 Perhaps next time I start a new program I will maintain my base until the mileage catches up. For now I will take the rest. Still it’s almost another 25 miles on the road to my Philly Marathon. I checked the weather forecast (actually 3 forecasts) for Saturday morning. All three had lightening storms forecast so I took my run inside the gym and hit the treadmill for an hour. That was the only day I went off plan by running 6 instead of 5. Not such a big deal and I’ve not been so great on my diet this week for a number of reasons. Back on track for week 4. 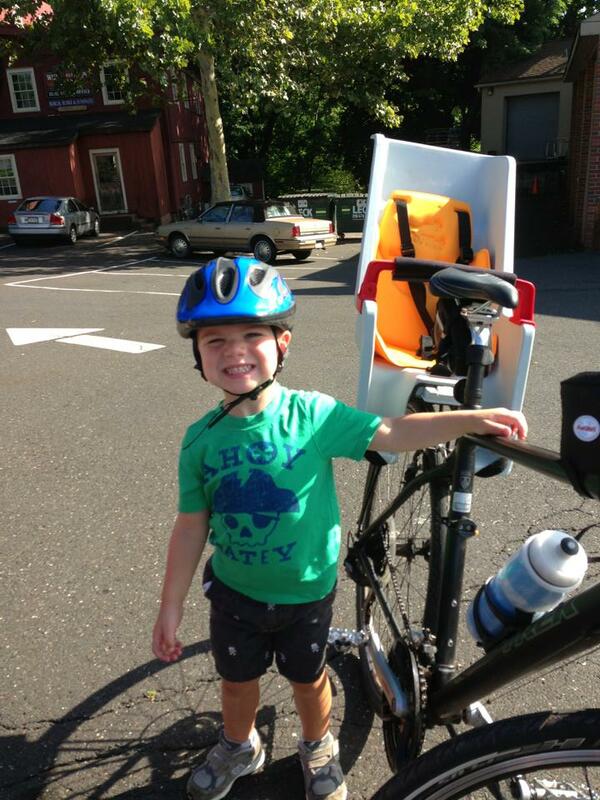 In addition to the training I managed to get out on a bike ride with my youngest. I did an hour riding on the canal tow path just before my long run (6 this week). 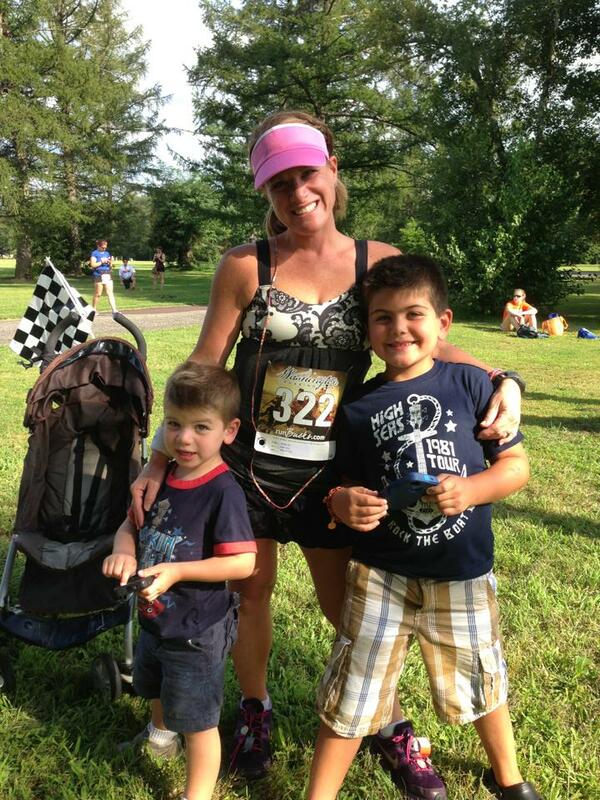 We met up with my wife and eldest son and I ran with them in the stroller so Sunday was very much a family day. Typically we run as a family on Saturdays and this will be more the norm as we approach the longer runs. My kids are great in the stroller but pushing them 8 miles is tough on me and that is a long time for them after a while. There’s only so much we can all manage (especially the guy pushing the stroller). Next weekend we have some family plans we are doing so it looks more likely that I may be skipping the cross training on Monday and running Monday through Friday as I will need to take the weekend off. Not the best and if I feel like it is too much I will probably skip one of the run days. I’m back up to 11 miles come the long run so Friday looks likely that I will be up at 4am to squeeze that one in before work. I hope the weather cooperates this week as the temperatures in the morning are currently perfect for running outside. 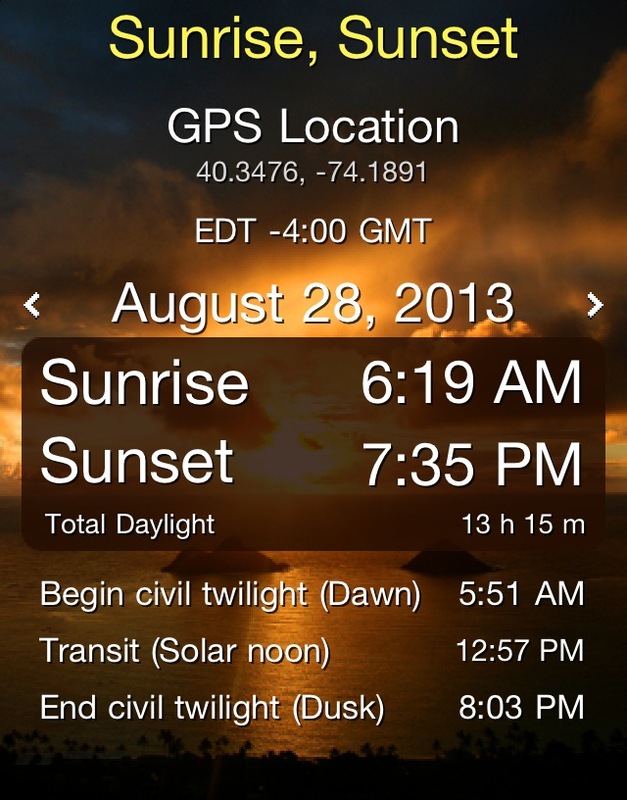 The sunrise is getting a little later so headlamp running may be back on the agenda soon. I’ll have to do a blog post about my running in the dark gear as there is a little too much detail to go into in this weekly update. Thanks for sticking with me on this journey. This years Philadelphia Marathon will be here before you know it and soon I’ll be making my dining reservations(!) 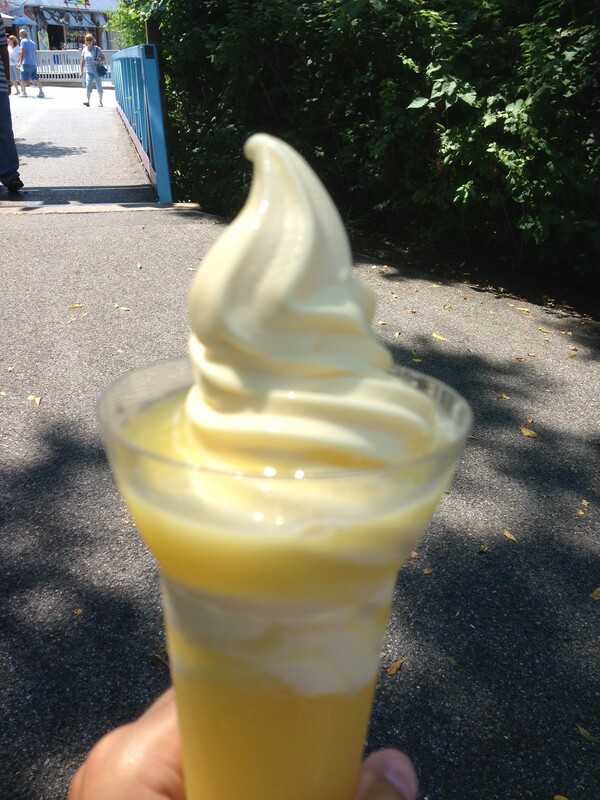 for Walt Disney World in January. Lots to look forward to.